Our Jordan Glare Legging has it all. 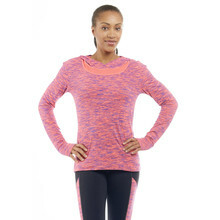 This contoured legging moves with you, and the reflective print insets help keep you seen. It also has an inner media pocket perfect for stashing your phone or keys. Made with Marika's Dry-Wik finish and Coolmax Gusset keeps you cool and dry as you exercise.